Chances are high that you know someone who’s given up gluten. Perhaps this family member, co-worker or friend has raved about how much better they feel without gluten in their diet, and you’re wondering if you should give it up too. While it’s true a whopping twenty million Americans report they don’t feel good after eating foods that contain gluten, and a third of all American adults claim they’re trying to eliminate it from their diet, that doesn’t necessarily mean you need to jump on the gluten-free train—but it might make you feel better. We can help you decide. Fortunately, only a small slice of the US population—1 to 2 percent—has the actual autoimmune condition known as celiac disease, where exposure to wheat gluten, rye, barley and related proteins can cause a severe immune response. That said, there’s a growing number of people who appear to have what’s now being called non-celiac wheat sensitivity (NCWS), a condition where eating gluten causes GI symptoms such as pain, bloating, diarrhea or constipation, often with neurological symptoms like fatigue and brain fog. 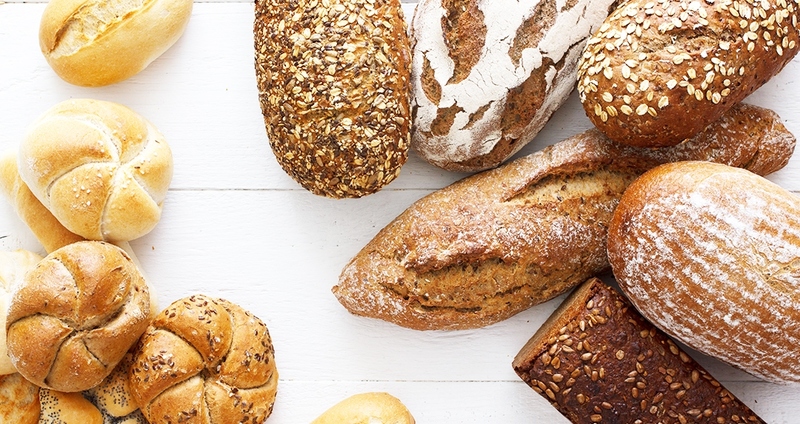 you’re likely processing gluten just fine. For a while, media outlets would poke fun at gluten sensitivity, suggesting it was a fad or “all in one’s head.” Now, a recent study out of Columbia University Medical Center has revealed that individuals with NCWS do indeed have increased intestinal permeability, and more markers of chronic inflammation than healthy individuals. The good news is the study also showed that these symptoms improved after adhering to a gluten-free diet for six months. “I suspect gluten may be an issue for anyone with a diagnosed autoimmune condition, digestive problems, skin issues, depression, neurological issues, or any chronic illness that hasn't been able to be diagnosed,” says Jennifer Scribner, a Nutritional Therapy Practitioner in Portland, Oregon, who says symptoms are your best guide. If you’re feeling good and digesting food well, you’re likely processing gluten just fine—no need to give up pizza or your favorite baked goods. However, if you’re dealing with one of the issues listed above, giving up gluten might make a real difference. While there are doctor-ordered tests that can check your potential for wheat and gluten protein reactivity and autoimmunity, perhaps the best—and least expensive—way to figure out if gluten is a problem for you is by giving it up for a bit. Simply remove all gluten-containing foods from your diet for sixty days. Read labels carefully and avoid any foods you are not sure are clear of gluten—including restaurant meals. Then, when the two months is up, eat a bowl of barley and see how you feel. Record any symptoms. A few days later, eat some wheat bread. If you react to the barely, you are likely intolerant to gluten and related proteins. If you only react to the bread, something specific to wheat is likely the culprit. Fortunately, even if you find gluten is a problem for you, giving it up is not the torture it once was. Now you can find everything from rice pasta to gluten-free pancake mix—just be sure to choose foods that aren’t packed with sweeteners and additives. Scribner recommends limiting packaged foods, as she finds clients moving away from gluten feel their best when they eat a whole-foods diet. Of course, a gluten-free “junk food” treat every once in awhile is just fine.